When Lady Verena’s widowed father suddenly remarries, she finds that her stepmother is anxious to make a match of convenience for her new stepdaughter and produces a suitor who repels her. Verena has always sworn that when she marries, it will be for love and for no other reason. Feeling that she has no choice but to run away, Verena makes a daring midnight escape from her home. With the help of the family groom she reaches the nearest port intending to flee to France, only to find that the tide is against her. A change of identity and a stroke of luck soon see Verena sailing away to a new life, where her culinary skills learnt at school come in surprisingly useful. But meeting the Marquis of Hilchester brings a new dilemma as her feelings for him grow, how can she win the heart of the man she loves when she is not who she claims to be? And when a friend of her stepmother’s enters the picture, events take a sinister turn. Can Verena find love and true happiness or will she be unmasked and sent back to England and a marriage she dreads or even be thrown into a French prison? 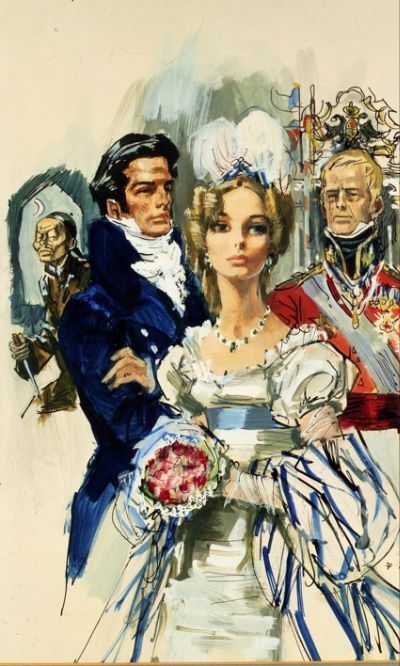 All is unraveled in this exciting and romantic novel by BARBARA CARTLAND.